Need an LCD projector for a presentation? Maybe you want to have a movie night in your backyard! No matter your usage, Boston Photo Rental offers professional-grade LCD projector and slide projector rentals at down-to-earth prices. Contact us today and reserve a projector. 3M X65 LCD Projector 3M's X65 LCD digital projector offers a great blend of performance and features, making it a workhorse that's perfect for medium-sized rooms. The X65 features a brightness of 2500 lumens, 350:1 contrast ratio and HDTV compatibility, all in a portable package. 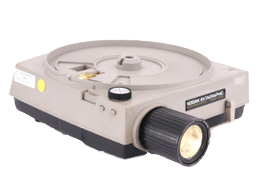 Kodak Ektagraphic Slide Projector AF-2 This durable Ektagraphic slide projector features an all-metal body construction and a 17-foot remote control. It also has manual & automatic focus modes. 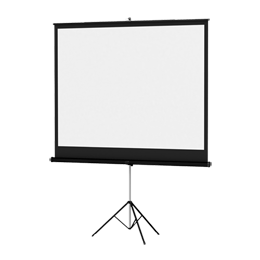 Da-Lite 70"x70" Projection Screen The Da-Lite Versatol is light-weight and easy to carry. This tripod projection screen can be fully opened in a room with an eight foot ceiling.